Anchorage, Alaska - The FBI is looking into Alaska Senator Ted Stevens' involvement into the National Science Foundation's award of $170 million in contracts to a company (VECO) that oversaw renovations of Stevens' home, McClatchy Newspapers is reporting. Stevens is currently under multiple criminal investigations for bribery and corruption. 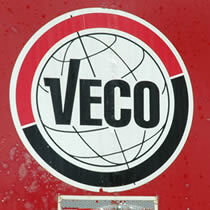 Veco Corp. in 1999 captured a lucrative five-year foundation contract to provide logistics and support for polar research, although it had no previous experience in that field. In the same period, Veco's top executive managed renovations that doubled the size of the longtime Republican senator's Girdwood, Alaska, home - raided July 30 by the FBI. Bill Allen, CEO and part-owner of VECO, pleaded guilty in May to bribing elected officials, including ex-Alaska state Senate president Ben Stevens, son of Ted Stevens. Allen personally oversaw the renovations of Stevens' home. Allen is cooperating in a massive FBI corruption investigation that as of August 16th, 2007, has snagged two of the state's three members of Congress, one of their aides the ex-president of the state Senate, four state legislators, and two VECO executives. Ted Stevens, along with Alaska Congressman Don Young (also under criminal investigation), have sent Veco Corp. over $30 million in federal contracts since 2000.